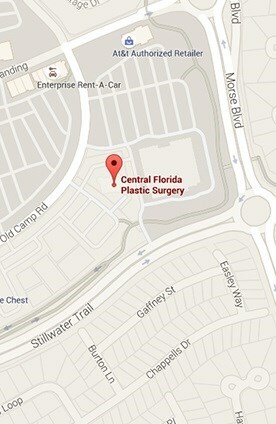 Central Florida Plastic Surgery is proud to offer the most advanced aesthetic laser systems available. We aim to combine art and medicine in a manner that safely, comfortably and reliably rejuvenates your skin. You are sure to find the perfect aesthetic treatment or service to match your overall skincare goals and objectives, from chemical peels to microdermabrasion treatments. Begin your treatment experience with a complimentary skincare consultation today. Dr. Serra and our knowledgeable staff will listen closely to your concerns, answer all your questions, and then customize a treatment package suited to your needs, lifestyle, and budget. Microdermabrasion is a common procedure used for facial rejuvenation. It is a mechanical exfoliation that removes the uppermost layer of dead skin cells from the face, neck, chest and hands. We use only the latest technology, crystal-free DiamondSkin® Microdermabrasion. This FDA approved system effectively treats the appearance of fine lines and wrinkles, hyperpigmentation, superficial age spots, scars, dry, oily or patchy skin, sun damage, and acne blemishes. Ideal for normal, dry, oily, combination, aging and sensitive skin types. For normal, dry, oily, combination and aging skin.